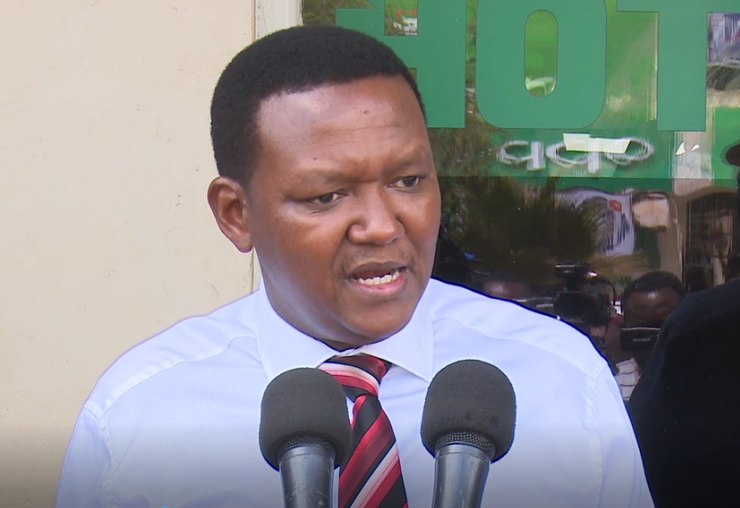 Wednesday April 3, 2019-Machakos Governor, Dr Alfred Mutua, has told President Uhuru Kenyatta that his war against corruption will only bore fruits once the big fish are arrested and indicted on graft charges. Speaking at Masii High School in Mwala sub-county during the launch of Huduma Namba on Tuesday, Mutua urged the Head of State not to succumb to blackmail from corrupt leaders who claimed their tribes were being targeted in the graft war, yet they stole as individuals and not on their community’s behalf. The vocal county boss said majority of Kenyans were fully behind the President’s anti-corruption crusade adding that he should not relent or bow to pressure from highly placed graft cartels. He concluded by urging the president to ensure that lifestyle audits of top governmental officials continues as the exercise had slowed down since it started couple of months ago. Deputy President William Ruto is among a group of Rift Valley leaders who are claiming that the ongoing fight against corruption is targeting Kalenjin community.